Ketan Mehta has served as President and Chief Executive Officer of Majesco, as well as a member of Majesco’s Board of Directors, since 2000. Ketan co-founded Mastek Limited (“Mastek”) in 1982 and served as a member of Mastek’s board of directors until 2015. During his 35 years with Mastek, Majesco and its affiliates, Ketan has handled multiple functions including sales, delivery and general management. Ketan envisioned and executed insurance focus for Majesco including acquisition and integration of five insurance technology companies over the last 11 years. Prior to that, Ketan also spearheaded Mastek’s Joint Venture with Deloitte Consulting. Ketan holds a Management Degree from the Indian Institute of Management, Ahmedabad. 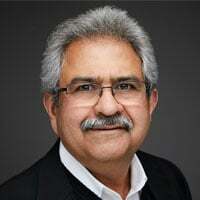 Earl Gallegos serves as a director of Majesco. 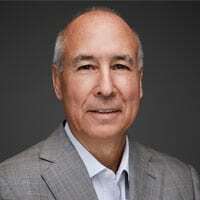 He has served as a member of the board of directors of Cover-All prior to the merger with Majesco since March 1997, and as Chairman of the Board of Cover-All since January 2014. Mr. Gallegos is the principal of Earl Gallegos Management Corporation, a management consulting firm founded by him in 1994 specializing in the insurance and software industries. Mr. Gallegos was a founder of Peak Performance Solutions Inc., a privately held insurance technology firm. In 1997, Mr. Gallegos co-founded Regents Electronic Commerce Inc. (“REC”) with Steven R. Isaac. REC was founded to offer workers’ compensation electronic data interchange services and compliance reporting and was merged to form ecDataFlow.com Inc. (“ecDataFlow”) in 1999. ecDataFlow was merged with Bridium, Inc. (“Bridium”), a technology firm, in 2002. Mr. Gallegos has also served as a director of Zytalis Inc., an information technology professional services firm, from 1999 to 2006, Bridium from 1998 to 2003, Fidelity National Information Solutions, Inc., from 1997 to 2003, eGovNet, Inc., a government technology services firm, from 2002 to 2003, PracticeOne, Inc., a medical practice management software company, from 2002 to 2005, and Fidelity National Real Estate Solutions, a company specializing in real estate and banking technology, from 1997 until 2003. 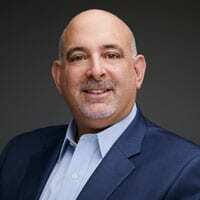 Adam joined Majesco as Chief Executive Officer in 2018. Prior to joining the company, Adam served as President of Global Field Operations and member of the Executive Leadership team at CA Technologies, a $4.5B Fortune 500 organization and business partner to the world’s largest companies. There he led high-performing teams who helped businesses grow across emerging markets and supported many of the world’s most powerful enterprise organizations through their digital transformation journey by helping them become more agile, more secure, and more capable of solving critical challenges and delivering innovation to adapt to changing market demands. Under his direction, CA evolved from legacy software vendor to digital transformation leader across DevOps, API Management, Security and Agile Management. Adam holds a Bachelor of Arts in Psychology and Master of Sciences in Management and Information Systems from New York University. Adam currently sits on the Board at Optanix, an IT Service Management company, and at PENCIL.org, a non-profit that connects businesses with schools to provide advancement opportunities for students in underserved communities. Since November 2010, after a career spanning over three decades in the Information Technology field, Mr. Hukku is an independent investor, and consultant / advisor to several technology companies in the U.S. and India. 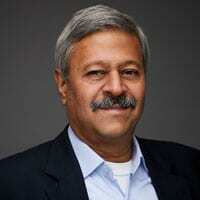 He has previously held various senior executive positions at Oracle Corporation, a multinational computer technology corporation, Oracle Financial Services Software Ltd. in India, (previously known as i-flex solutions ltd.) an IT solutions company serving financial institutions in over 125 countries, Tata Consultancy Services, Citicorp Overseas Software Ltd., and Citicorp North America, Inc. As CEO and later as Chairman, he championed the growth of i-flex solutions from a mere startup in 1992, into a global leader in the field of Banking Software with a revenue of approx. $650M by 2009. Mr. Hukku has held several board positions. Mr. Hukku has received several awards including, the Entrepreneur of the Year, IT, CE India 2002, awarded by Ernst & Young, the Star of Asia awarded by Businessweek in 2003, the Dewang Mehta award for innovation in IT awarded by the government of India in 2003, the Global Entrepolis Award awarded by the Prime Minister of Singapore in 2004, the Order Bernardo O Higgins – Great Official awarded by the President of Chile in 2005, the Stevie Award in the best chairman category awarded in 2006, and the Outstanding 50 Asian Americans in Business awarded by the Asian American Business Development Center in New York in 2006. Mr. Hukku graduated from Birla Institute of Technology and Science, Pilani, India with a BE (Hons) degree in electrical and electronics engineering. Steven R. Isaac has over 35 years of experience in the insurance and technology industries (public and private sectors). Mr. Isaac has served as a director of Cover-All since 2014. Mr. Isaac served as the Senior Vice President, Risk Division, of Ebix, Inc., a NASDAQ-listed provider of on-demand software and e-commerce services to the insurance industry, from 2009 until May 2011. In 2004, Mr. Isaac co-founded Peak Performance Solutions, Inc., a privately held insurance technology firm, and served as its CEO until 2009. From 2002 to 2004 he served as the CEO of Bridium following the merger of ecDataFlow, a provider of business-to-business electronic commerce solutions, with Bridium in 2002. He co-founded ecDataFlow in 1999 in connection with the merger of REC with another company and served as ecDataFlow’s President and CEO until 2002. In 1997, Mr. Isaac co-founded REC with Earl Gallegos and served as REC’s President and CEO until 1999. He served as an Executive Vice President of Marketing Communications Sector at Cadmus Communications Corporation, a provider of integrated graphic communications services, from 1997 to 1999. 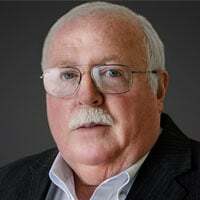 Mr. Isaac served as COO of the Ohio Bureau of Workers Compensation from 1995 to 1997. Prior to that, Mr. Isaac served as Director of Electronic Data Systems Corp.’s Insurance Division from 1990 to 1995. Mr. Isaac has also served as a senior executive for three large P&C insurance companies: Merchants Insurance, Milwaukee Insurance and Sentry Insurance. He has led and managed over twenty acquisitions, mostly in the P&C insurance space. He served on the Kentucky Assigned Risk Pool Board, Board Member of the Property & Liability Resource Bureau, a Board Member of the International Association of Industrial Accident Boards and Commissions, and was an Arbitrator for the American Insurance Arbitration Forum. He is a graduate of Franklin University with a Bachelor’s degree in Business. Atul Kanagat has served as a member of Majesco’s board of directors since 2013. Mr. Kanagat has served as a non-executive director of Mastek and of Mastek UK since 2013, and is a member of, among other committees, the Nomination and Remuneration Committee of Mastek. Immediately prior to this, Mr. Kanagat served at Harman International Industries, Inc., an audio equipment manufacturer, as Vice President of Corporate Development from 2010 to 2011, responsible for leading all mergers and acquisitions and coordinating corporate strategy. 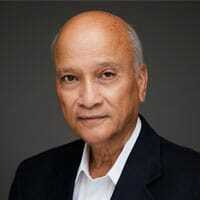 Mr. Kanagat previously served at McKinsey & Company (“McKinsey”) as an Associate from 1982 to 1988, Partner from 1988 to 1994 and Director from 1994 to 2004 (including as Managing Director of the Seattle, WA office from 1995-2003). Prior to this, Mr. Kanagat spent five years in the audio industry and the national symphony orchestra industry in the United States, during which period he served as Vice President of Research at the League of American Orchestras from 2006 to 2009. Mr. Kanagat began his professional career at Unilever at its Indian subsidiary, Hindustan Lever Ltd. (1977 to 1980). Mr. Kanagat has also served on the board of directors of the Liberty Science Center in Jersey City, NJ, and the Seattle Symphony Orchestra, the Seattle Chamber of Commerce and the Fred Hutchinson Cancer Research Center in Seattle, WA. Mr. Kanagat earned a B. Tech. in Mechanical Engineering from the Indian Institute of Technology, Bombay, and an MBA from Harvard Business School. Dr. Arun K. Maheshwari served as Chairman of the Board of Directors of Majesco from January 2015 until September of 2018. Dr. Maheshwari has also served as a director of Mastek since 2013. 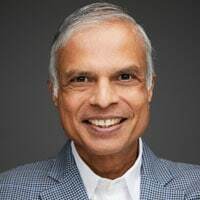 From 2005 until his retirement in 2009, Dr. Maheshwari served as founder and President of Fiserv Global Services Group (“FGS”), a subsidiary of Fiserv, Inc. (“Fiserv”), a Fortune 500 company providing information management systems and services to the financial and insurance industries. FGS was established to develop offshore delivery centers offering services to Fiserv customers and grew rapidly under Dr. Maheshwari’s leadership to more than 2,000 employees within two years. Prior to FGS, Dr. Maheshwari founded and led CSC India, a subsidiary of Computer Sciences Corporation, as Founder President and Managing Director from 1996 to 2005. From 1985 to 1996, Dr. Maheshwari was a senior information technology and finance executive with Continental Insurance (now CNA), following service with Reliance Insurance as a senior information technology executive from 1981 to 1985. Earlier, Dr. Maheshwari specialized in strategy and information technology consulting at McKinsey & Company in New York City from 1977 to 1981. 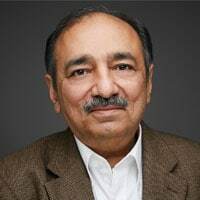 Dr. Maheshwari began his career with Tata Consultancy Services (TCS) in India, as a senior executive responsible for marketing, software development and management consulting and served as TCS’s first head of marketing and business development. He has previously served as a director of Fortegra Financial Corp., a NYSE-listed insurance product and services company, having stepped down in December 2014. He served as a director of Duck Creek Technologies (now Accenture), an insurance software firm, and has served as a director of Eagle Eye Analytics, a provider of predictive analytics software for the insurance industry. Dr. Maheshwari is active as a private investor, investing primarily in technology start-ups and real estate. Dr. Maheshwari holds a B.S. from Rajasthan University (Jaipur, India), a PGDM from IIM Calcutta, a M.S. in Computer Science from Stanford University, an M.B.A. from Columbia University and a Ph.D. from the Wharton School of Business at the University of Pennsylvania. Sudhakar Ram is currently Vice Chairman and Managing Director of Mastek, having previously served as Managing Director and Group CEO of Mastek, responsible for consolidating growth in markets across the globe and leading initiatives in technology, applications, processes, customer deliveries and business development, since 2007. He is a co-founder of Mastek and has served as a member of the board of directors of Mastek since 1985. Mr. Ram has also handled the additional responsibilities of leading Mastek’s business in the UK as CEO for Mastek (UK) Ltd. (“Mastek UK”) since 2013. Mr. Ram received CNBC Asia’s “India Business Leader of the Year” award in 2007. Before joining Mastek, he was the CIO of Rediffusion Dentsu Young & Rubicam (part of the Young & Rubicam network held by WPP plc) from 1982 to 1984. He holds a Bachelor’s of Commerce from Chennai University and a PGDM from IIM Calcutta. 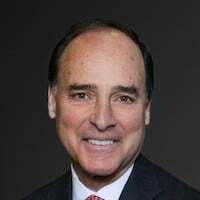 Since 2006, Mr. Restrepo has served as the Chairman of the Board of State Auto Financial Corporation, State Auto Property & Casualty Insurance Company and Milbank Insurance Company, each a wholly owned subsidiary of State Auto Financial Corporation, and of State Automobile Mutual Insurance Company, and from 2006 until May 2015, Mr. Restrepo served as the President and Chief Executive Officer of such companies. During his career, Mr. Restrepo has held executive roles at Aetna Life & Casualty Company, Travelers Property and Casualty, The Hanover Insurance Group Inc. and Main Street America Group. Mr. Restrepo earned a Bachelor of Arts in English from Yale University. The Future of Insurance Starts With You.